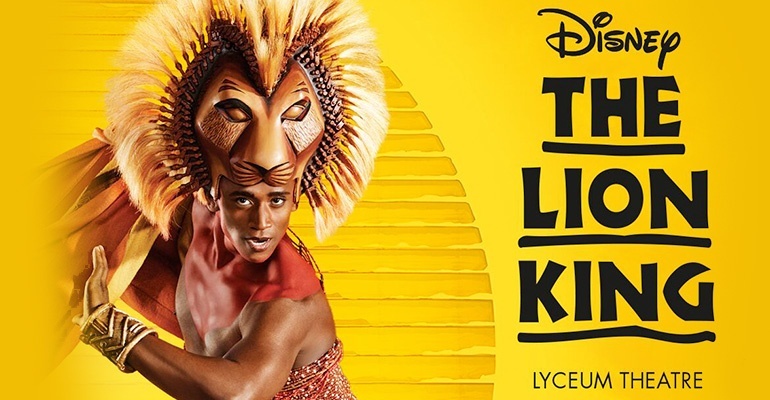 "as breathtaking a spectacle as you're likely to see"
The Lion King is officially the most successful theatre production of all time, a record previously held by The Phantom of the Opera. The West End production is one of London's most popular attractions. Adapted from the much-loved 1994 Disney film, the story of Pride Rock has been imaginatively transformed for the stage. With animals played by actors in vibrant, African-inspired costumes as well as large puppets and vivid set pieces, the show is praised for its spectacle and breath-taking staging. With much of the score taken from the original film's Oscar and Grammy Award winning soundtrack by Elton John and Tim Rice, The Lion King includes numbers such as "I Just Can't Wait to be King," "Circle of Life" and "Can You Feel the Love Tonight." The stage production of the Lion King has won 6 Tony Awards and 2 Laurence Olivier Awards and has been widely produced on 6 continents. The Lion King is recommended for ages 6+. All persons under the age of 16 must be accompanied by an adult. Without doubt the best musical I have ever seen. The cast is phenomenal, along with the musicians they just create the most amazing, moving show. I had goosebumps the whole way through and would like to see it over and over again! Thank you for an truly fantastic experience! I love Africa and this show was JUST like being in the Savannah. The way the puppets come to life on stage is mind blowing. They are puppets but they ARE the animals! I've never given much thought to set design before, but this show was amazing. Great songs by the fabulous Elton John too. A must see. THIS SHOW IS BRILLIANT! Me and my 6 year old came out of the theatre singing the songs and smiling ear to ear! YEAH! I absolutely loved and adored The Lion King! It was my favourite film as a child but the stage show was even better! The set and costumes were so amazing and vibrant. I literally felt like I was in the middle of the African Savannah! All of the actors were fabulous and Elton John's songs were sung superbly! I wish I were a Lion! This show has a lot of hype surrounding it and I would say that it by and large lives up to it's good reviews. The good points were that the set and puppets were both realistic and aesthetically pleasing, with the best set piece definitely being the ginormous elephant carcass! The songs were great but at times a little too quiet to be as epic as they are supposed to be and I though one of the young actors needed a few extra singing classes. However all in all the show was great, definitely one to watch!